NBA Playgrounds has me torn. On the one hand, it can be a genuinely fun game of digital basketball with cool animations and many playable characters to choose from, and the addition of local multiplayer is a welcome feature. On the other hand, however, many of the game’s mechanics simply don’t work as they should and the lack of creative modes is disappointing. 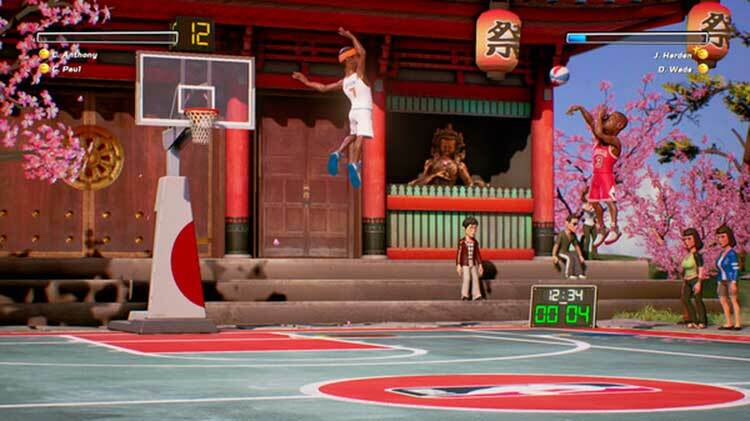 NBA Playgrounds may not revolutionize arcade basketball, but it’s a welcome newcomer. If Saber Interactive tightens its gameplay shortcomings and introduces more ways to play, the game could have a healthy run as an alternative for those who don't want the heavy investment of a sports sim. 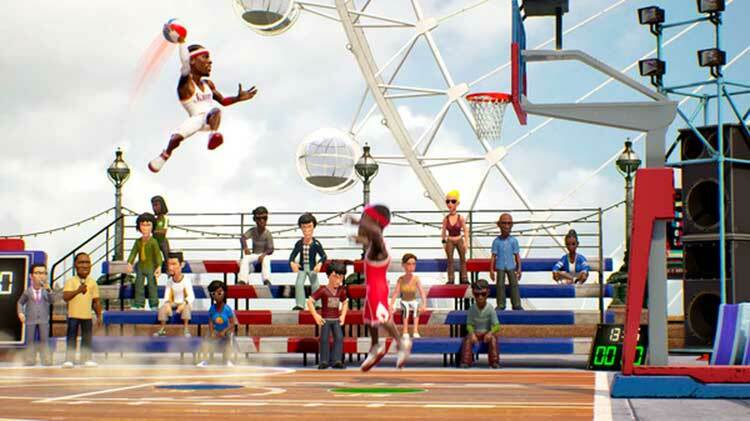 NBA Playgrounds isn’t a perfect recreation of the NBA Jam greatness of yesteryear, but it’s a pretty good start. Online play is sorely missed on the Switch, with no clue of how long “a few days” really will wind up being. I also feel like it’s lacking in game modes, though I’m hard-pressed to think of what other modes there could be. 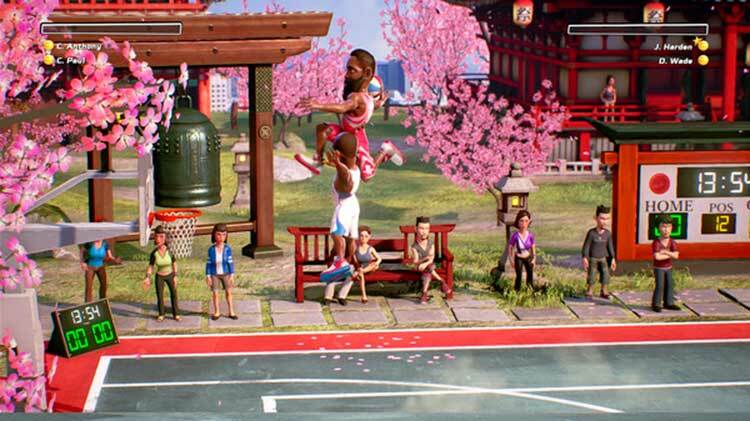 NBA Playgrounds isn’t a bad game, but it isn’t great. 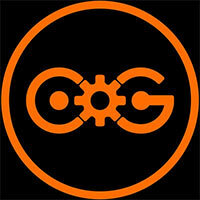 The fun it offers is found almost exclusively in either co-op or online. The solo experience is lacking and doesn’t keep your attention for too long. The game has a great look, and plays decently well when the AI isn’t bugging out. What will most likely bog down your time with the game is the repetitiveness. With basically one game mode to play, it’s hard to make each outing feel different and fun. NBA Playgrounds is let down by several little things, but most chiefly by the singular mode on offer. If they launched with some more fun modes to embrace the irreverent tone the game clearly wants to go for, or add them later for some added value, then the game might have some staying power. The debut installment of NBA Playgrounds gets the fundamentals right, but fails to impress elsewhere. From the shockingly feature poor online play to a single-player campaign that can be completed in a few hours, there just isn’t enough content to support the gameplay. It’s exciting to think about what a potential sequel could offer, but what’s currently being sold is a good, but definitely not great, arcade game that doesn’t manage to outdo its fantastic predecessors. NBA Playgrounds attracts you on the surface but brings a different yet inconsistent experience to the table that somehow still manages to be fun. Leveling up player cards and playing as legends while landing some awesome dunks are the main attractions. There’s enough nostalgia combined with an entertaining aesthetic to make NBA Playgrounds worth a look for basketball fans. El motivo principal es que estamos ante un título menor que podría haber sido mucho más de lo que es y que, lejos de poder hacerse un hueco entre los grandes de un subgénero tan divertido como este, acaba siendo un videojuego muy limitado y con poco recorrido. 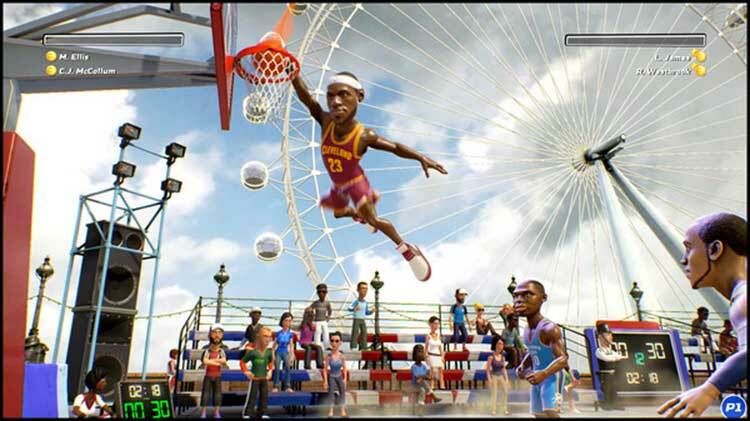 NBA Playgrounds tiene sus fallos. La naturaleza de alguna de sus mecánicas nos resulta oscura e inaccesible. En general es un título con algunas aristas que cuesta obviar. Visualmente cumple, pero aunque el diseño de los personajes sea carismático, ya nos prepara para esperarnos algo tontorrón y despreocupado. Quizá en ese aspecto sí que sea más coherente el juego. Todavía le faltan muchos modos de juego para que justifique el precio. 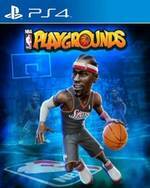 Si lo que buscas en NBA Playgrounds es esa experiencia divertida que teníamos en las clásicas arcades de basquetbol exagerado, te toparás con un juego que en general hace muy bien las cosas y si compites en línea o de forma local la podrás pasar increíble.Por otro lado el juego también tiene sus imperfecciones como algunas reglas que mucho hacen en pro de la diversión alocada en sus partidas pero algunos malos golpes de suerte con los power-ups en contra podrían resultar en algo frustrante. NBA Playgrounds es un juego de corte sencillo y directo que muestra sus cartas en las tres primeras partidas. Mates espectaculares, alley-oops, jugadas imposibles y potenciadores que le dan un toque arcade evidente en el que no hay ni árbitros para regular los empujones, codazos y bofetadas que podemos realizar. Es scheint nicht von ungefähr zu kommen, dass Arcade-Basketball eigentlich keine Rolle mehr spielt. Denn auch NBA Playgrounds schafft es nicht, das alte Spielgefühl und den Spaß der NBA-Jam-Serie adäquat in die Moderne zu hieven. Technisch und hinsichtlich der eingängigen Steuerung macht Saber Interactive vieles richtig. Einsteigerfreundlich und mit spektakulären Dunks ausgestattet, feiert man schnell erste Erfolgserlebnisse. Doch sobald es an die Feinheiten der Verteidigungsaktionen geht, wird Playgrounds ungenau. 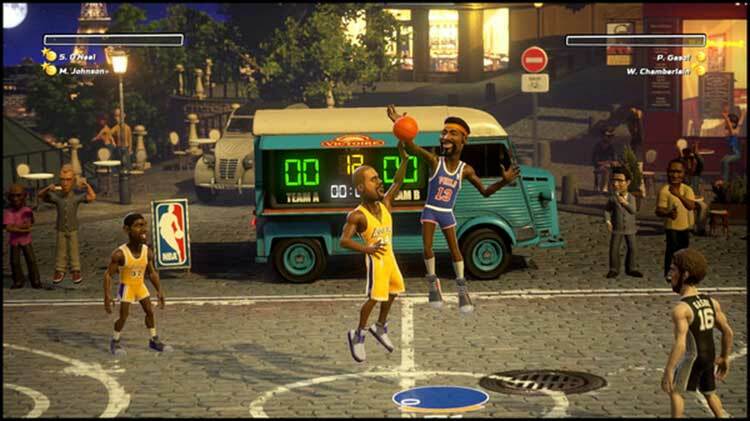 Avec ses dunks décomplexés et ses joueurs tous plus rigolos les uns que les autres, NBA Playgrounds avait tout pour être un petit jeu de basket arcade débile, donc absolument essentiel, comme avait pu l'être NBA Jam en son temps. Con un paio di modalità di gioco in più (i tornei online dovrebbero arrivare a breve), un gameplay un filino più profondo e un'IA un po' più reattiva, sarebbe consigliatissimo. Allo stato attuale ho qualche remora nel raccomandarlo: dopo una decina di partite l'entusiasmo iniziale cala bruscamente, la musichetta “pre partita” diventa insopportabile e i match si appiattiscono. NBA Playgrounds är ett medelspel som hade kunnat bli så otroligt mycket bättre om bara Saber kikat mer på vad som faktiskt gjorde förlagan (NBA Jam) så otroligt bra snarare än att bara försöka kopiera de ytligaste bitarna. Jag är mest glad över att jag nu lyckats knyta ihop denna babbliga nonsensrecension och nu kan återgå till drottningsylten.